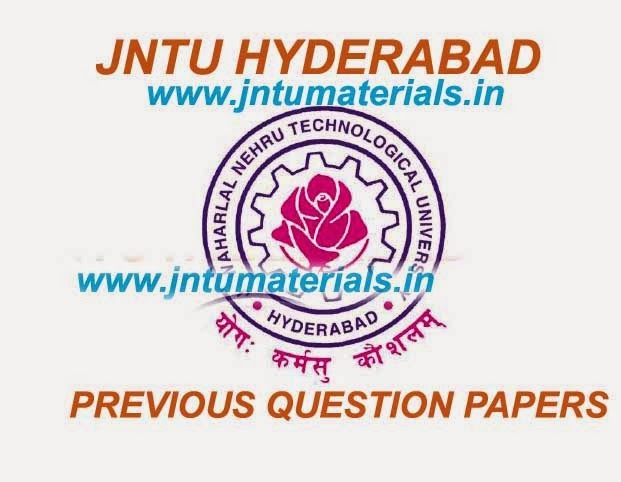 The following are the jntu Hyderabad 3-2 previous question papers of all branches. These jntuh previous questions are held in the month of June-2014. You can find all branches question papers here. How to Download JNTUH previous papers. then your download link is generated. click on that link to download jntuh previous question papers.